Brigette Renee Jackson was the third child born to the parentage of the late Shelvey Jackson, Jr. and Willie Mae Jackson on September 8, 1960 in Wichita Falls, TX. She united with the Gilbert Memorial C.M.E. Church under the pastorate of Rev. G.R. Patterson. She accepted Christ at an early age and attended church regularly with her grandmother and her siblings. She was a member of the Sunday School, CYF and sang in the Youth Choir. Brigette was educated in the Wichita Falls I.S.D., she attended Holland Elementary, Reagan Junior High and graduated from Wichita Falls High School in 1978. She attended Cosmetology School at Carrigan. She worked for Wichita General Hospital for ten years and later in life she was a compassionate caregiver at Wichita Falls Home Health. 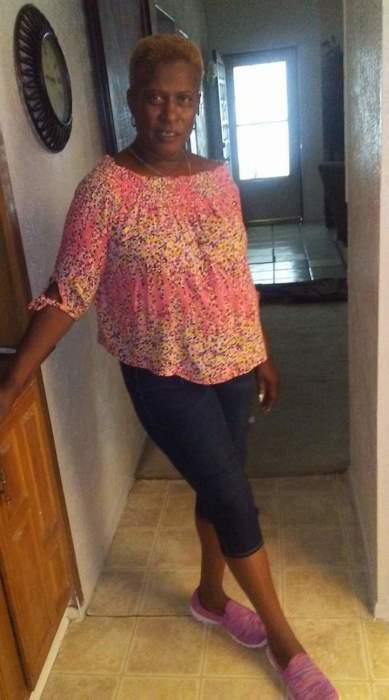 She leaves to cherish her memories the love of her life; Melvin Young, her children; Orenthal Jackson (Shonta), Stefon Jackson (Latisha) and Meljuan Young, her siblings; Harold Thrower, Vomastek Jackson and Shannon Jackson, eleven grandchildren and a host of other relatives and friends.